So excited to announce today that I’ve partnered with Covenant House Pennsylvania on their MASSIVE surprise one-day art installation that will pop up in the heart of Philly THIS Thursday, October 20th (from 9am to 4pm) at Dilworth Park outside City Hall. 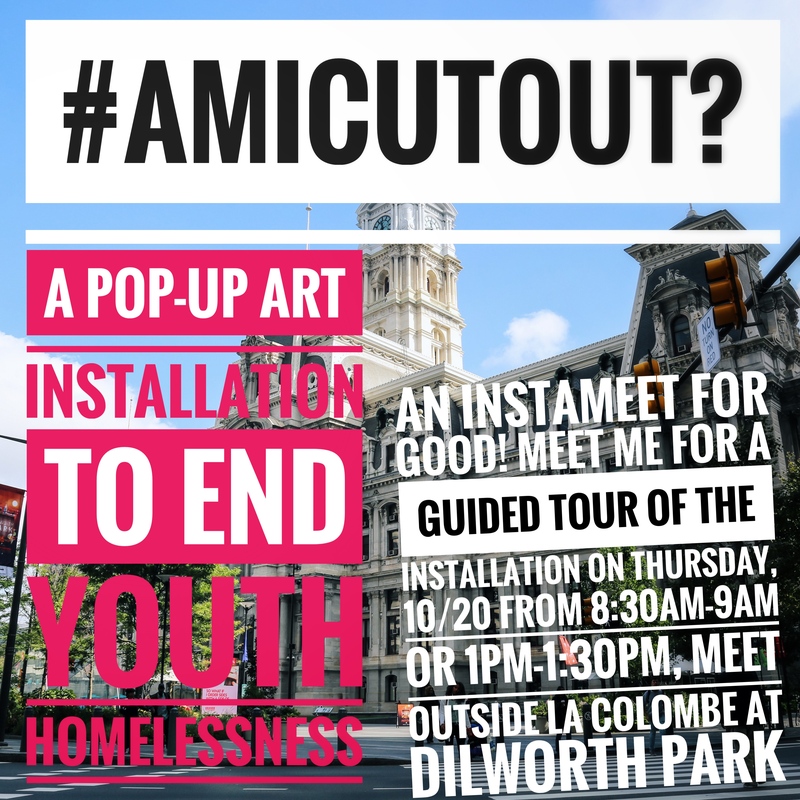 The installation, titled #AmICutOut?, will completely takeover Dilworth Park to call attention to – and raise money for – youth homelessness in Philadelphia. Specifically to highlight the plight of the 546 young, homeless Philadelphians who were turned away from Covenant House last year for lack of beds and resources. Covenant House Pennsylvania, if you didn’t know, is the only shelter in the city that specially serves 18- to 21-year-olds. 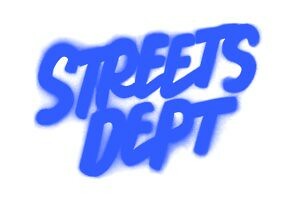 They serve runaway, homeless, and trafficked youth (including mothers with children) who are 21 years old and under. Why have I partnered with Covenant House Pennsylvania to help with this eye-catching installation? 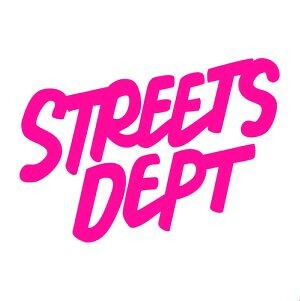 Because, quite frankly, youth homelessness is problem with a clear solution: give kids who need it a bed and a safe space and watch them flourish. 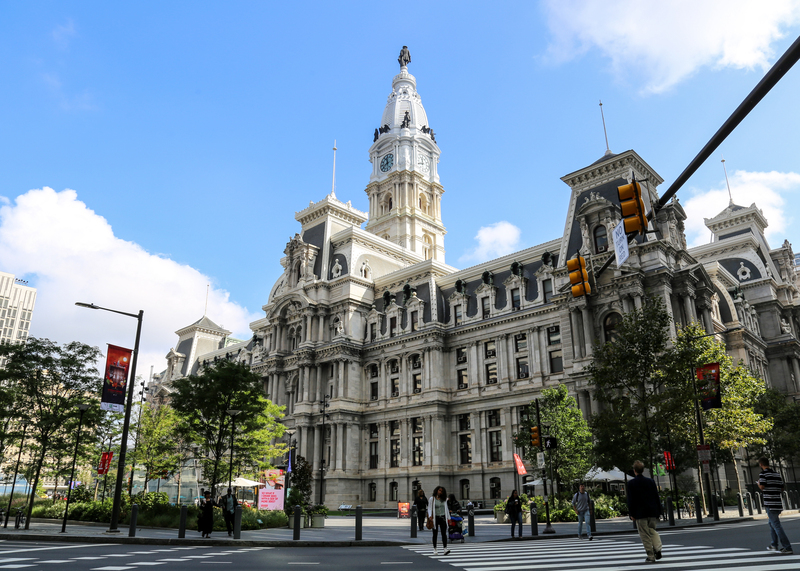 And the amazing thing is that Covenant House Pennsylvania is already doing it – they just need our help to be able to offer this lifesaving service to more homeless Philadelphia youth. These are youth who’ve been kicked out of their home including many who’ve been kicked out simply because they’re LGBTQ. They’re young adults who’ve experienced abuse, neglect, violence, or addiction at home. They’re young adults who’ve aged out of foster care and have nowhere to go. They’re young adults who’ve experienced human trafficking. They’re young adults who are still not ready to face the world alone. And like all youth they just need a safe, stable living environment where they can learn the necessary skills to cross the bridge from homelessness to independence. On average, more than 90% of the youth living at Covenant House Pennsylvania are in school or working – or both. Youth homeless shelters like Covenant House Pennsylvania, unlike most homeless shelters for adults, offer youth a bed of their own in a dorm-style shared room with a locker. Most adult homeless shelters, however, can only offer beds for a handful of hours overnight, serving people first come first served. That means a person using one of these types of adult shelters must carry their belongs around with them all day. And for a kid trying to stay in school or keep a job, doing this would be impossible. Lastly, and this should go without saying: helping young people when they need some help pays off for everyone. The youth who are able to take advantage of facilities like Covenant House Pennsylvania have a better chance of making it on their own. And that’s a win/ win/ win/ win/ win. So please, stop by the installation on Thursday, learn more about youth homelessness in Philadelphia and the great work Covenant House Pennsylvania is doing, donate some money – and post about it on social media to help spread the word! Whether you come one of the InstaMeet walks, or not, I’ll be out there all day… So come out and help us end youth homelessness in Philadelphia! ← First Look: Behind-the-Scenes Installing #PhiladelphiaGoddamn, Opening FRIDAY!